“They say there are signs in all things; well, there were some we could have done without that day”, Vijay Nambisan wrote in his poem “Millennium”, confronted by an ominous heap of straw soaked in blood on the dank stairs “that smelt of anger”, lines we feel like repeating, forgetting what follows: we could have done without this loss coming on the heels of Eunice de Souza’s sad departure. One of the most painful obligations of a senior poet is to have to write an obituary – or a dirge – for a younger contemporary who (s)he had all along regarded with love, expectation and concern. Sadly, I have had to do it several times in my life, mostly for writers of the next generation in Malayalam who had held great promise, and who I had known personally. I cannot claim that kind of familiarity with Vijay Nambisan, though we did meet a few times – once or twice with Kavery, his wife, the talented novelist and physician – and he began corresponding with me more recently while engaged in the translation of two classics of devotional poetry by two very different poets from Kerala: one in Malayalam and the other in Sanskrit. Upon my insistence, he had also agreed to translate the selected stories of Kamala Das for Katha during my brief stint as editor in that reputed publishing house where I was planning an ambitious series titled “Katha India Library” – one of my many pet projects that did not finally materialise – though Vijay confessed he would need to take his father’s help to understand the nuances of Malayalam. It was natural – we did not have many occasions to meet as we lived in different places and Vijay was more of a recluse than a traveller that I have ever been. Fifty four is no age to die; that is the time when a poet really begins to be recognised and revered in our miserable country. Vijay Nambisan was a poet who, one feels certain, would have written much more and even better – if his artistic perfection could still be excelled – had he been given a little more time. 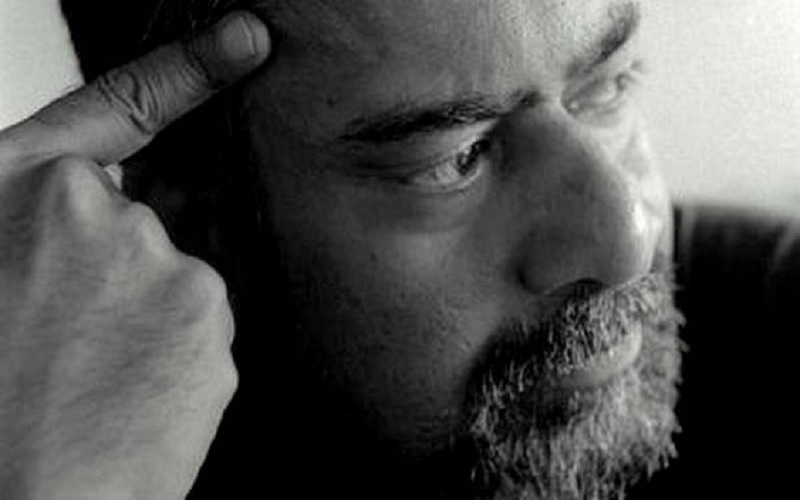 He had just come back to poetry after two decades of near-disenchantment with the neglected art, when he, however, wrote some enchanting prose, with a collection of fascinating poems (First Infinities, Poetrywala, Bombay, 2015) that revealed a poet of rare originality, meditative maturity and nuanced employment of language, much more evolved than when his readers had first encountered his typically modernist work in Gemini, the Penguin series of 1992 where he had made his debut along with Dom Moraes and Jeet Thayil. If what we hear is right, he was almost ready with another collection when tragedy struck. Fifty four is no age to die; that is the time when a poet really begins to be recognised and revered in our miserable country. Not that his early poems in the Eliot-mode failed to win hearts: even Jeet Thayil included his “Madras Central” – that had won him his earliest recognition by securing the prize in the first All India Poetry Competition organised by the Poetry Society of India and the British Council in 1990 (a prize later won by the likes of Rukmini Bhaya Nair, Tabish Khair, Ranjit Hoskote and K Sri Lata) as one of Vijay’s six poems in 60 Indian Poets (Penguin, 2008) edited by him and published after 18 years of its winning the coveted prize. Its sombre mood was not unfamiliar to the readers of “The Love-song of Alfred Prufrock”: boredom, weariness, confusion, gloom, all expressed through concrete images like “The black train pulls in at the platform/ Hissing into silence like hot steel in wate”’ and ironic lines of resignation like “I cannot be in two places at once: /That is axiomatic. Come we will go and drink/ A filthy cup of tea in a filthy restaurant” and time-space games like “The long rails decline into a distance/ Where tomorrow will come before we know it”. But Vijay moved on, conversed with his mother-tongue Malayalam, the classical Sanskrit and the tongues of the places he spent time in, including Urdu. At this point he realised: “I would like my poems to be/ Like my grandfather’s beard, to be airy/ In the lean wind, to look up at the clouds/ And laugh…” One place he loved during these years of near-withdrawal was Bihar where he spent some quiet time with his partner, rediscovering the locale and its culture, resulting in the writing of a different kind of book on Bihar, its caste-divide, its struggles, its magical survival: Bihar is in the Eye of the Beholder (Penguin, 2000). His meditations on the ethics of language-use, its honesty and economy, yielded another work in prose: Language as an Ethic (Penguin, 2003), essential reading for all writers, especially poets who care for aesthetic integrity and the trust, accuracy and non-manipulative use of language. Meanwhile, he ventured into another area: translation. It is not surprising that this modernist, like A K Ramanujan, Dilip Chitre and Arun Kolatkar before him, chose to translate excerpts from classical devotional literature, in his case, from Kerala: Jnanappana (The Song of Wisdom) in Malayalam by Poonthanam Namboothiri (1547-1640) and Narayaneeyam in Sanskrit by Melpathur Narayana Bhattathiri (1560-1646/66), published by Penguin under the title, Two Measures of Bhakti (2009). The former is a philosophical work of poetry in simple, contemporary, everyday language in the egalitarian spirit of Bhakti composed by a bereaved father who had seen his new-born first child, born after years of his marriage, dying on the day of the baby’s annaprasaham (rice-giving ceremony), and the latter, a work that sums up Krishna’s life derived from Bhagavata Purana. Vijay has been chided for his self-confessed ignorance of the nuances of Malayalam; but anyone who has compared his translation to another more “faithful” translation of the work by a poet who is supposed to know better Malayalam, will be convinced of the superior quality of Vijay’s version. This may remind Malayalis of a legend about Poonthanam and Melpathur themselves. Poonthanam requested the scholar and linguist Melpathur to go through his work that the arrogant pundit refused to do, but Lord Krishna himself rebuked Melpathur and told him that he preferred Poontahanam’s bhakti (devotion) to Melpathur’s vibhakti (here referring to grammar and scholarship). What matters most importantly in the translation of poetry is the translator’s own poetic genius and vision. Vijay’s introduction to the book is a tribute to Kerala’s poetic genius. Countless bottles drop their love into his slow veins and he sets out to discover the source of that river. He is overcome with a feeling of the uselessness of drugs and food and discovers, “No life is short/ That at its centre has this clarity.” In the last segment, “Drying Out”, when ashes clog and clot his veins, he spews and spits bile and his bones are entirely torn, his spirit asks him to have no fears of Hell or hopes of Hereafter, but to believe in the ache for the return of the fire within. The poem exemplifies everything that defines Vijay Nambisan’s poetry: the uncompromising truthfulness, the clarity of vision and image, the close, if ironic, observation of the self, the body and the surroundings, the unsettling retrospection, the meditative spirit, the eagerness to settle accounts with the past that he finds always impossible, the careful choice of words and metaphors, the fine-tuning of the syntax. The poet’s concern for the self does not in any way exclude the other; his imagination illumines the whole animate and inanimate world. Even cats find their place in his world of empathy. “Cats have no language to tell their world./ The moon is a midsummer madness/ Which satisfies foolish chroniclers/ But their paws gloat on the captured mouse…” (Cats Have No Language). “The newly dead is an unknown quantity”: Remembering Eunice de Souza. The writer is a Malayalam poet, bilingual critic, editor and translator whose mammoth collection of poems in his own translation, The Missing Rib was recently published by Poetrywala, Bombay.